Marine Animal Rescue said it's offering a $5,000 reward to find the killer. 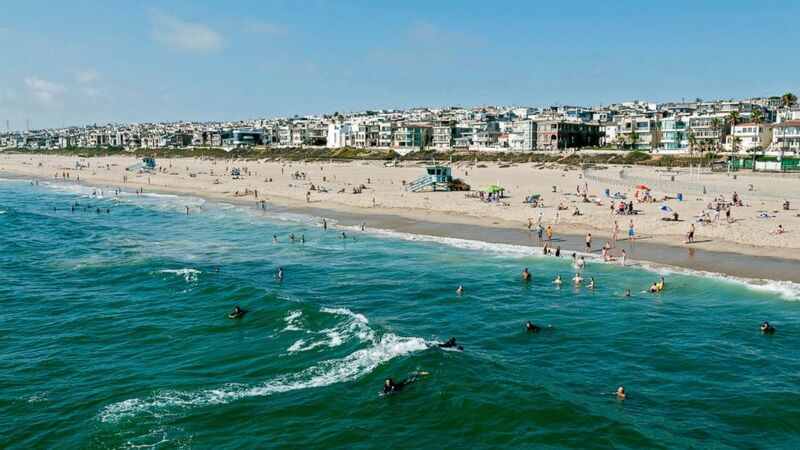 camera (STOCK/Getty Images) This stock photo depicts swimmers and surfers enjoying the water in Manhattan Beach, California. An animal rescue group is outraged after its president said he recovered a dolphin shot to death at a beach in Southern California. Peter Wallerstein, president of Marine Animal Rescue based out of El Segundo, California, told ABC News he spotted the freshly-killed dolphin in the surf on Manhattan Beach on Nov. 8. Wallerstein said he pulled the animal -– known as a common dolphin -- out of the water. When he saw the hole in its side, he brought the animal to an animal rehab center where the bullet was removed. Usually officials with the Los Angeles Natural History Museum will pick up a dead animal for a necropsy, according to Wallerstein. But since this seemed to be case in which the dolphin was purposefully killed, he wanted it to be analyzed immediately. (Marine Animal Rescue/Facebook) A dolphin found dead in Manhattan Beach, California, Nov. 16, 2018. Wallerstein called the incident "barbaric" and a "senseless act of aggression." He noted that he's seen sea lions who have been shot over the years, but this is the first dolphin killing he has come across. It's possible other dolphins in the area have been shot, but if they float further out to sea instead of towards shore, they wouldn't be noticed. "We don't know if it's the only one," said Wallerstein. "There could be others being shot out there, too." (STOCK/Getty Images) This stock photo depicts swimmers and surfers enjoying the water in Manhattan Beach, California. Marine Animal Rescue, which saves hundreds of marine animals every year in Los Angeles County, is offering a $5,000 reward for information leading to the conviction of the dolphin's shooter. "We're gonna pursue it until we get the killer," Wallerstein said. Killing a wild dolphin -- as well as harassing, hurting or feeding one -- is illegal under the Marine Mammal Protection Act of 1972, according to NOAA Fisheries. The offender could face up to one year in jail and up to a $100,000 fine. Earlier this year, a dolphin was shot and killed off the coast of Mississippi. The NOAA wrote on its website that "the number of violent incidents towards dolphins in the Northern Gulf have increased in recent years." 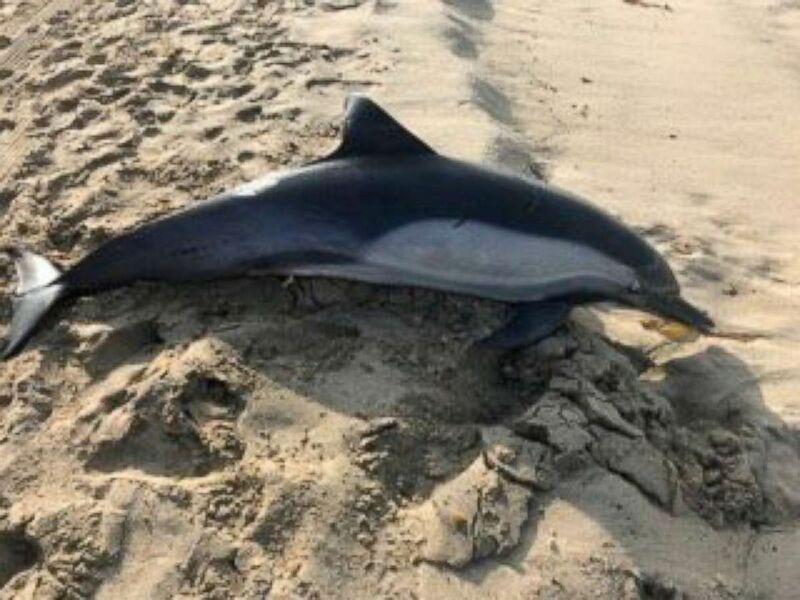 An NOAA spokesperson told ABC News the agency was aware of the reports that a dolphin had been shot in Manhattan Beach, but they would not comment on any potential or ongoing investigation.